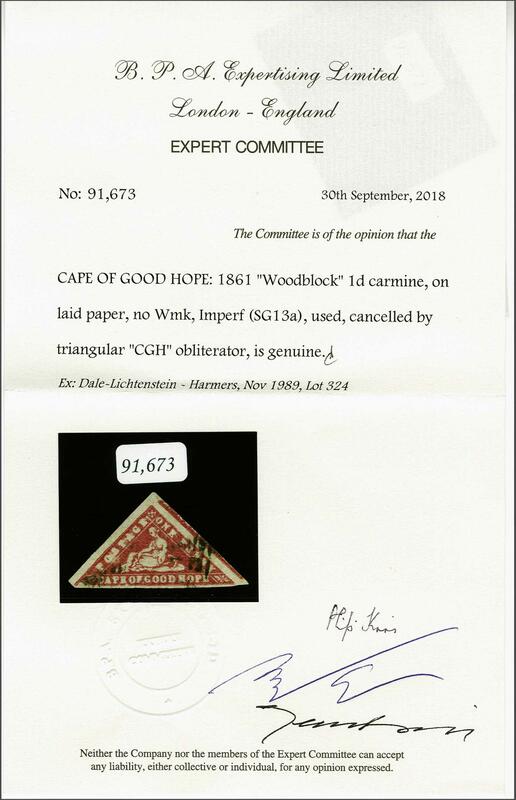 Provisional Issue 1861 (Feb 27): Woodblock 1 d. carmine on laid paper, a used example with ample margin at base and enormous margins on the angled sides with large portion of adjoining stamp at right, lightly cancelled by CGH obliterator in black leaving 'Hope' clear: also showing a Plate Flaw in lower left corner resulting in white spot on frameline. 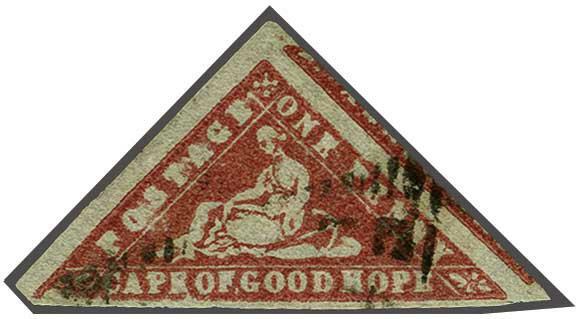 A superb and most attractive example of this rare stamp. Ex collection R.F.A. Riesco. Cert. BPA (2018) Gi = £ 3'500.rnrnProvenance: Collection Dale-Lichtenstein, Harmers, Nov 1989, lot 324.